It’s time for another installment of “The Power of Post!” Lately, I’ve been shooting a good amount of architectural and urban photography. It’s one subject that’s really made me appreciate the power and usefulness of tilt-shift lenses. Anyone who has photographed a building can guess what a converging vertical is. On the left is an image with uncorrected converging verticals; on the right, a similar shot with the perspective corrected in post. The corrections are certainly not perfect, but it’s a much more realistic representation of what the human eye sees when viewing the scene. This will happen irrespective of the type of lens used, although the effect will indeed be more pronounced with wide-angle optics, simply by virtue of their being more powerful at creating a sense of perspective – keystoning is, after all, a vertical perspective effect. But if you refrain from tilting your camera and manage to keep it perfectly level, you won’t have to deal with keystoning, even if you use an ultra-wide lens. Photo taken at the top of the Chicago Art Institute’s Modern Wing, looking toward the skyline; you can see that the buildings on the right side of the frame are distorted, and leaning slightly in toward the center. Another Example- you can see that, on the right, the two buildings lean toward each other in the center of the frame as a result of the extreme low perspective. I was tilting the camera up quite a bit to compose the shot. On the right, the same photo shows improvement, but is not completely free of keystoning. To completely eliminate converging verticals in the image would require an undesirable crop- i.e., cropping off most of the building’s height. 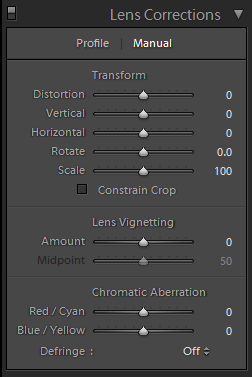 I’ve provided the slider settings to give you some idea of the magnitude of corrections needed. Of course, this process is even more effortless if you shoot with a lens already supported by Adobe’s profiles. At any rate, it’s no big endeavor to correct architectural keystoning in Lightroom 3; in fact, it’s a rather speedy, enjoyable process! And, if you’re an architecture photographer who cannot justify dropping 2K on a tilt-shift lens(someday?) 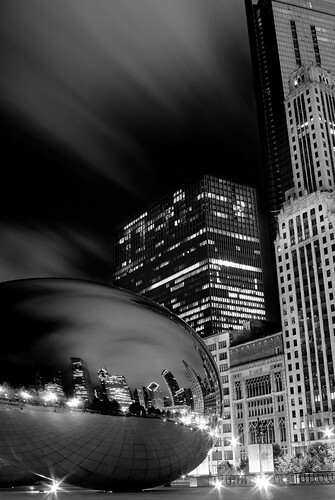 , then Lightroom’s Lens Corrections provide a really sweet ticket to vertical-convergence-free photos! Very interesting! I knew that this happened, but I didn't know the name for it. I just found out yesterday that lensbaby has a tilt-transformer, which I was very excited about until it was discovered that it would only work with a Nikon mount lens on cameras that a lot of people don't have. A very neat idea that will hopefully be possible with normal DSLR's. Hey – I am definitely happy to find this. cool job!